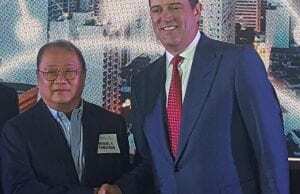 Smartphone maker Oppo revealed its newest addition to the F series — the Oppo F9 — on August 15 at the Shangri-La Hotel at the Fort Manila in Bonifacio Global City. 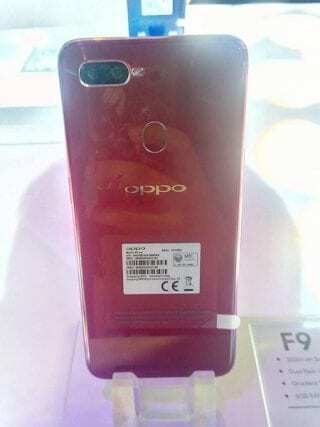 Oppo F9, whose key features are breakthroughs in charging, design photography, and consumer experience, is said to elevate the standards of the smartphone device. 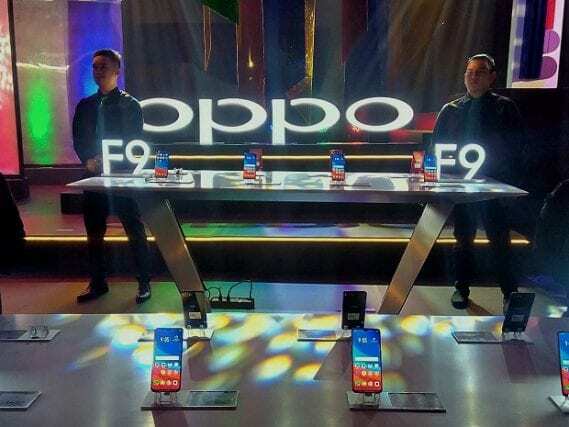 “The two key words for F9 are ‘bago’ and ‘mabilis,’” said Jane Wan, Oppo Philippines vice president for marketing, who is a Chinese national. The Oppo F9’s most endorsed feature is its VOOC Flash Charge Technology (Voltage Open Loop Multi-step Constant-Current Charging) which uses a higher than normal current USB 2.0 charging. It operates at five volts and four amperes and requires a special wall adapter and special cables for transferring higher currents at four amperes. It makes charging safer while lowering adapter temperature. “We did a product survey for over 2,000 users, and we found out that the most common problem for users is battery life,” said Daniel Lardizabal, product expert for Oppo F9. The company’s answer to this problem is F9’s 3500mAh battery and the VOOC Flash Charge. For selfie needs, the smartphone has a 25MP sensor HDR front cam. It is also the first in the F series to boast of AI-enhanced dual rear cameras (16MP+2MP). “Having a dual rear camera can separate the subject in a more defined manner, delivering a more dramatic effect to “Bokeh” Effects,” Lardizabal added. AI likewise finds its way into the smartphone’s beauty technology which provides users with 8 million different beautification effects. Lighting styles like Rim Light, By Color Light, Film Light, Tone Light, Natural Light and more are included. In addition, F9’s back camera allows the user to shoot beautiful scenes using 16 scenic shots which it automatically identifies. An updated vivid mode for video recording coined as “Super Vivid Mode” is also available. AR stickers build into the phone have been updated for post-production process. Plus, the Slow Motion video mode enhances its features further. F9 is equipped with a smarter and more efficient ColorOS 5.2 running on Android 8.1. With 6GB RAM + 64GB storage and a Helio P60 Processor, it promises superb performance for a mid-range smartphone. ColorOS features Music on display which lets the user listen to a video’s audio in the background. It also supports two 4G Nano sim card slots and one 256GB storage card slot. “What I love about this is that if I just go to my friend’s house and I want to find out their [Wi-Fi] password, I go to their router and I just use my Google Lens and as I use it automatically, I can get the Wi-Fi already,” said Lardizabal. 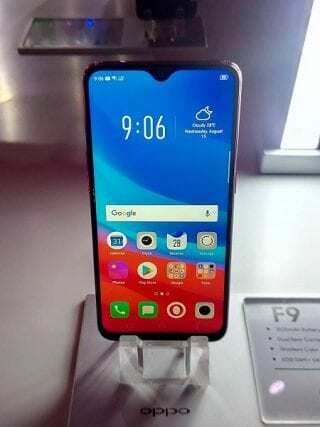 Oppo F9 is also equipped with Google Lens which identifies objects and shows relevant search results and information. Oppo F9 will be initially available in Sunrise Red and Twilight Blue for P17,990 (6GB RAM). Additionally, consumers may avail via Home Credit at 0% interest for nine months. It is also available with Smart at GigaX Plan 1299. Pre-ordering will be from August 24 to August 30, 2018 during which customers can get freebies worth up to P3,490.